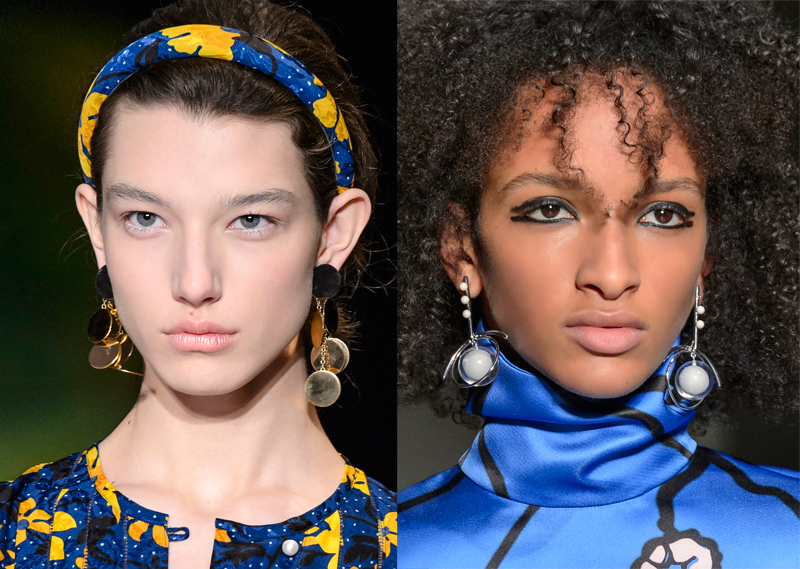 Statement earrings are here to stay — at least for the next season, anyway. And as per the Fall 2017 runways, the die-hard trend is going strong in the form of artful, asymmetric and geometric shapes. From linear drops to sculptural hoops, designers have doubled down on the ear adornments, offering options that range from evening-ready to daytime-appropriate. Ellery’s earwear for fall was stiff, structural and generally mismatched, mixing a contemporary art vibe into the typically bohemian-leaning collection. Marni all but owns the geometric jewelry category, so it was no surprise when the storied label trotted out an array of linear-meets-spherical baubles. 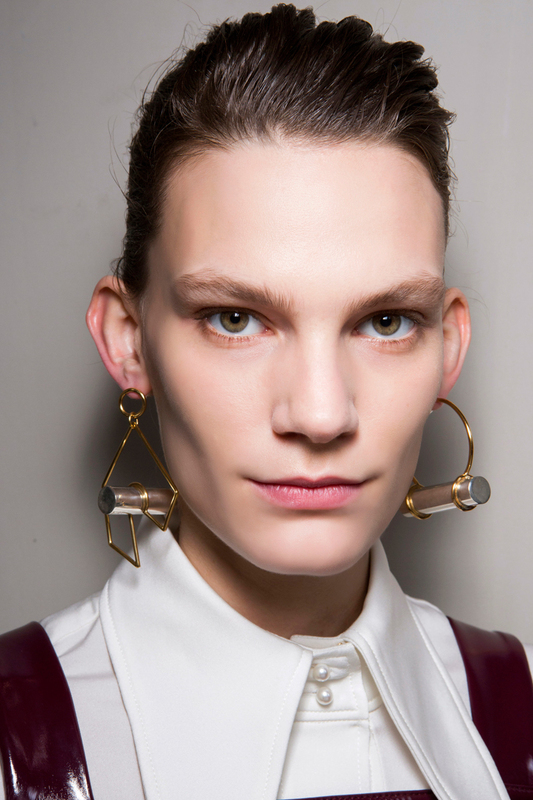 Altuzarra also went the circular route with the majority of models sporting gold disc drop earrings. The ultramodern jewelry offerings were virtually everywhere. For many of us (raises hand), the sculptural earring feels like a welcome respite from the ubiquitous tassel and pompom styles that have been flooding our feeds all summer. And it seems the street style set is starting to agree as fashion’s leading ladies increasingly appear in sleek, modern stunners that have a decidedly un-boho feel. The wow factor is still there, but it all just feels a little less earthy and a little more man(woman)-made. Ready to get started on your own work of accessory art? In the slideshow ahead, we’ve shopped out 16 perfect pairs of structural earrings at every price point, guaranteed to instantly update your fall look.